On a recent trip into Space NK I really couldn't decide between trying the REN Clearcalm 3 clarifying clay cleanser or the NARS Radiant creamy concealer. I've had my eye on both for a while now but as this visit was on the boyfriend I thought trying to get both of them was pushing my luck a little. When he told me to get both he really didn't have to tell me twice! My Collection Lasting perfection concealer was coming to an end and although the NARS version is over four times the price of course I wanted to try it. I didn't get colour matched but went for Chantilly, which I believe is the lightest shade available and is described as a true ivory shade for the fairest complexions. This is a pretty good match for me but can be slightly too light if I use a little too much on my currently slightly tanned skin tone. 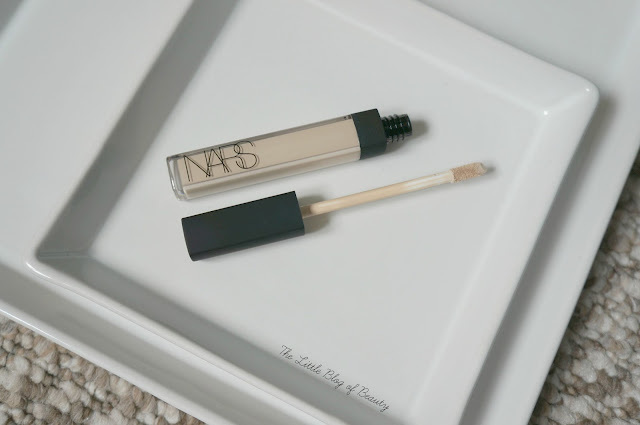 I love how simple and chic NARS' packaging is, with this particular product featuring a rubberised black top that holds a furry applicator and a see through tube so you can see how close you're getting to needing a replacement. You really don't need very much of this as it's high coverage and if you do use a little too much the radiant appearance can make it a bit too obvious. It is reasonably thick, although not as thick as something like Seventeen Phwoarr paint or Benefit Boi-ing, but as the name suggests it's creamy, making it very easy to blend. I use this for covering redness, blemishes, scaring and dark circles and it works amazing well for all of them. It doesn't cover my dark circles completely but to be honest nothing does and I really need to use something underneath with a peachy tone to counteract the darkness. I find this particularly good for spot covering blemishes. I dot a small amount directly on top of the blemish, blend around the edges with a small brush and set with powder and the spot is completely covered. This may be quite pricey for a concealer at £22 but it really is worth it. You only need a small amount for high coverage so I can see this lasting me a fair while before I need to replace it. 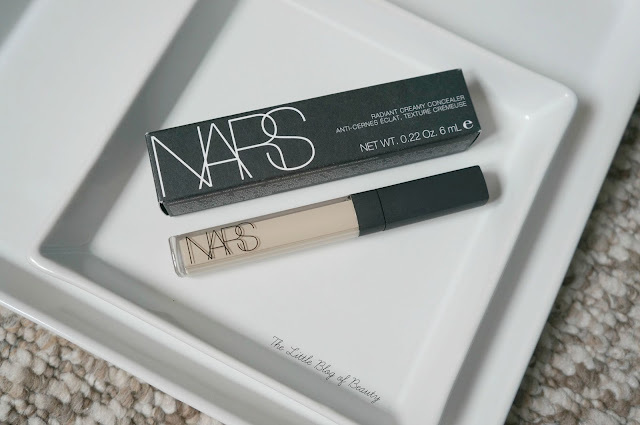 You can buy the NARS Radiant creamy concealer in Space NK stores and online. Are you a fan of the Radiant creamy concealer? I love this concealer. I have Vanilla but need Chantilly as its a tad too yellow for my Casper-like skin tone lol. Glad you like it, well worth the price. This is by far my favourite concealer the coverage is so good!